Replace Moisture that has been lost with temperature changes. Nearly invisible repairs to scratches, stains, cuts, spots, wear and burned areas. 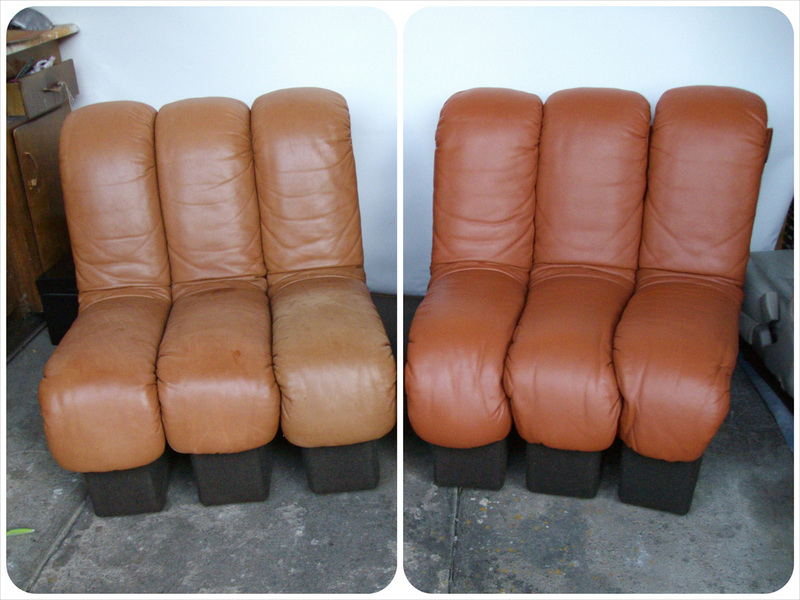 Complete refurbishing of leather that has been faded, worn or damaged. Remove old color and apply new color and protection. Changing the color of sofa or chair. 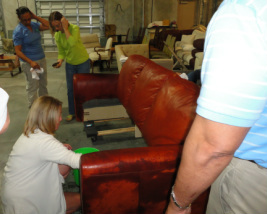 Color matching a new or added piece to an existing old piece. 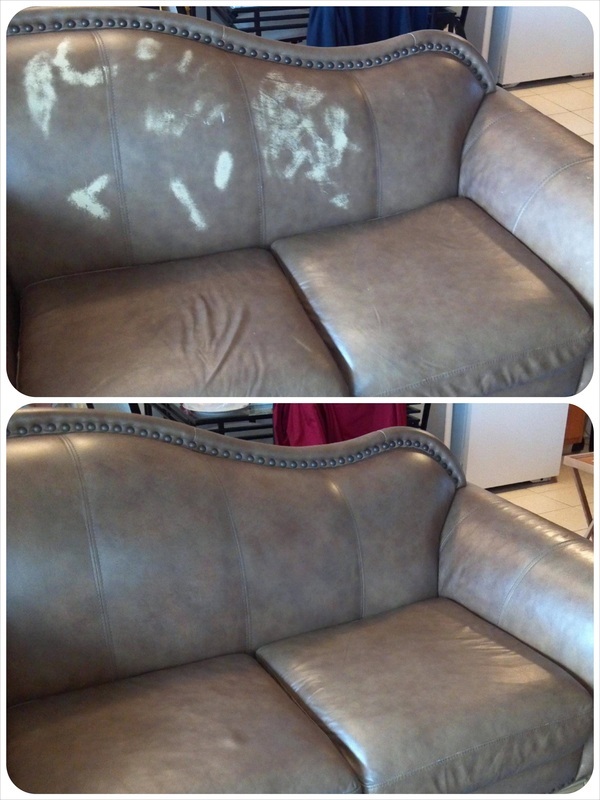 The importance of leather cleaning is to maintain the proper pH level which is 4.5 - 6.5 Improper cleaning of your leather, with products such as Windex, Pledge & dish-washing detergents, can soften the top coat protection and cause your color to rub-off. 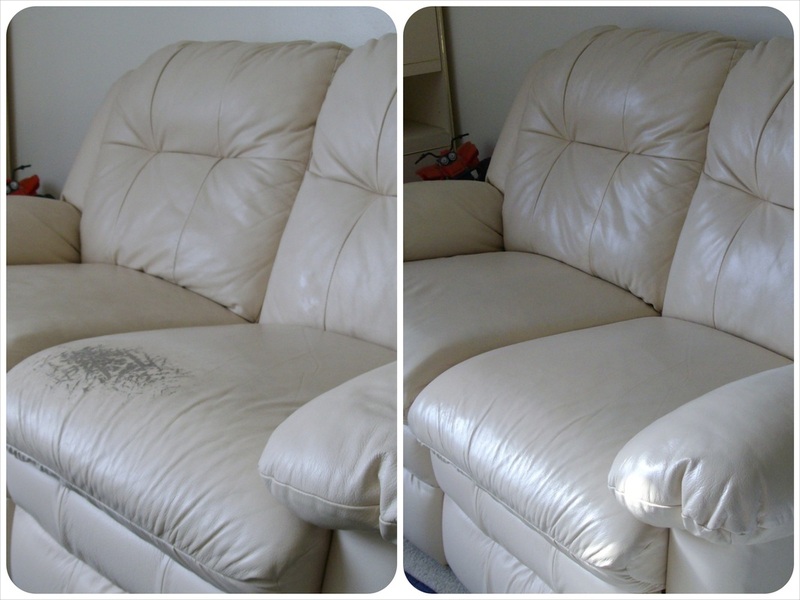 Cleaning should be done by a professional technician or done with the proper cleaner for your type of leather. 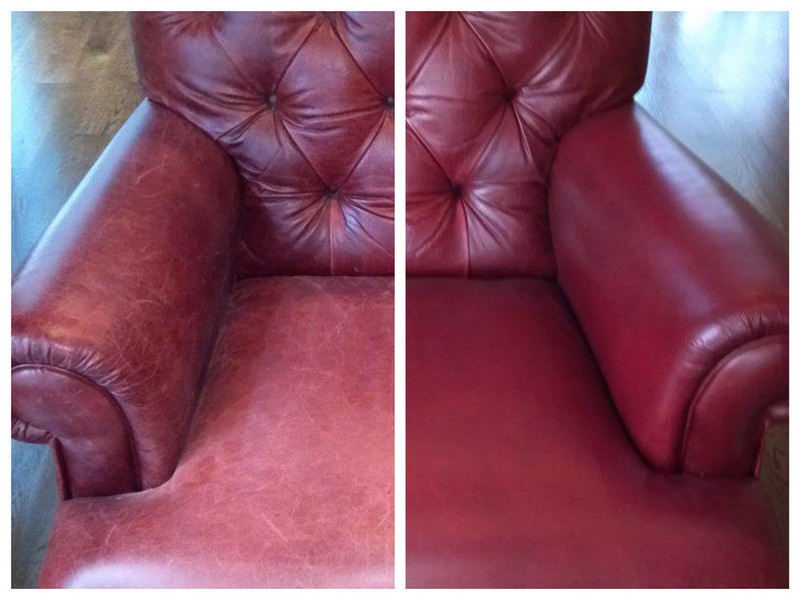 The types of leather that we clean. > Aniline (A) - also called Naked, Unprotected, Natural & Pure. 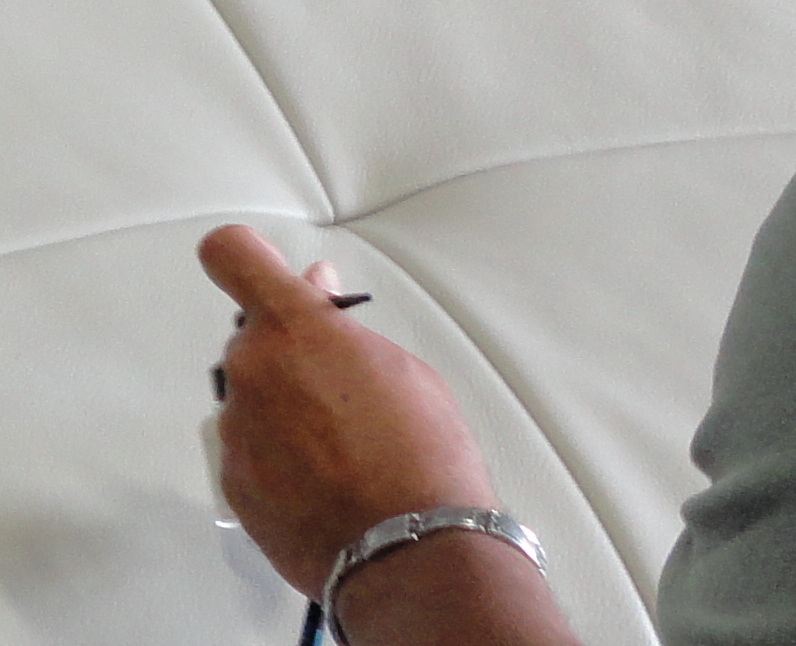 > Protected (P) - also called Pigmented, Painted leather, Finished Protected & Semi-Aniline. > Nubuck (N) - also called Suede, Bomber & Sanded Aniline. Get a sneak peak at how leather fabric is repaired below! To preserve your image of success looking its best, contact us for FREE phone advice and estimate.